New York City. 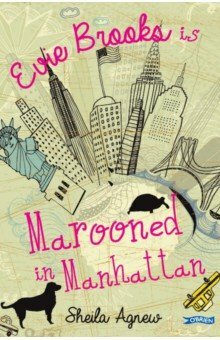 Evie Brooks had seen it on the TV, but suddenly finds herself leaving her home in Dublin and moving to Manhattan to her American uncle Scott, after the death of her mother. Never owned a pet more substantial than a goldfish, Evie is intrigued by Scott`s NYC veterinary practice, and before long, Evie is working as an assistant in the clinic. Between the pets, their owners, Scott and his lawyer girlfriend, the Summer quickly becomes a whirlwind of change and activity! And then Evie has to make a huge choice: will she stay in New York, or return to live in Ireland with her godmother, Janet?